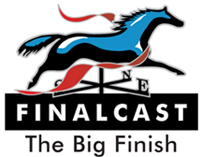 Final Cast ™ – Forecasting a big win at the end? It’s easy to see that many specialized skills are necessary with known exit planning experience, including financial/insurance professionals, business/estate planning attorneys, CPAs, transaction specialists, valuation specialists, bankers, and more – all part of the Forecast Strategic Advisors team. Contact Forecast Strategic Advisors to take advantage of our Final Cast™. Fill out the form below or Contact Forecast Strategic Advisors to discuss how our Final Cast ™ plan might be right for you. By filling out the form below, you’ll also receive free access to our library of White Papers about Exit Planning with no obligation.